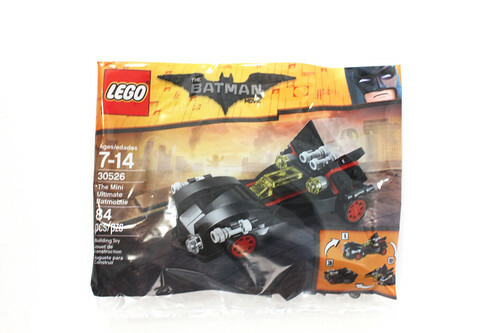 As I reported a few days ago, The LEGO Batman Movie The Mini Ultimate Batmobile (30526) polybag has started to show up at Toys R Us locations across the US. It contains 84 pieces and retails for $3.99 each. 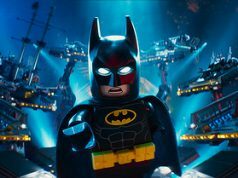 The RWeb# is 33618/UPC 673419286091. 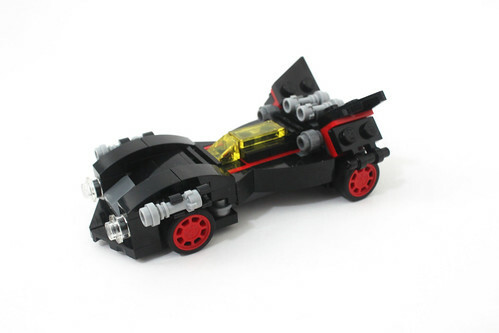 What’s cool about this polybag is that there are enough parts in a polybag to recreate each of the main vehicles for the Ultimate Batmobile. 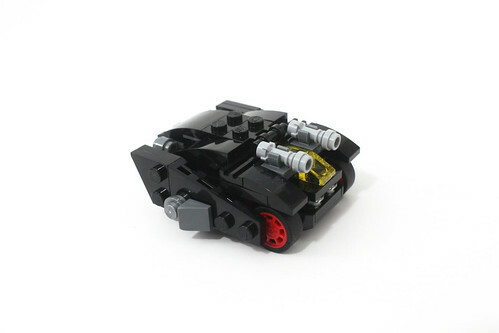 The instructions are provided for the Batmobile shown on front of the polybag and the other builds can be downloaded here. 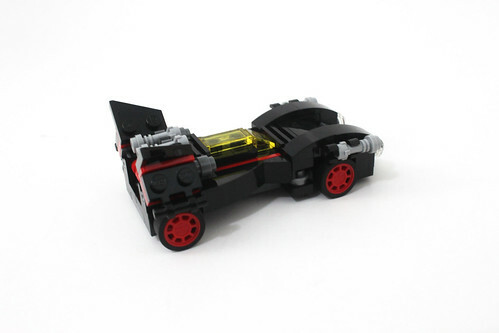 The instructions that are included with the polybag allows you to build the regular Batmobile. 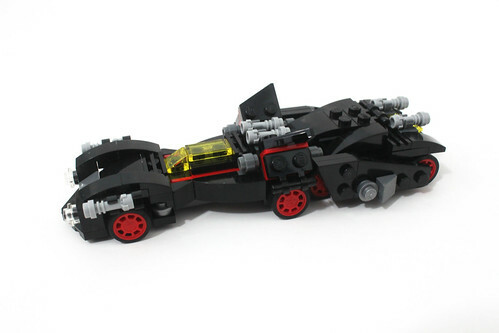 Even by itself, the Batmobile looks very sleek and the wings on the back are on hinges so it is able to move slightly. 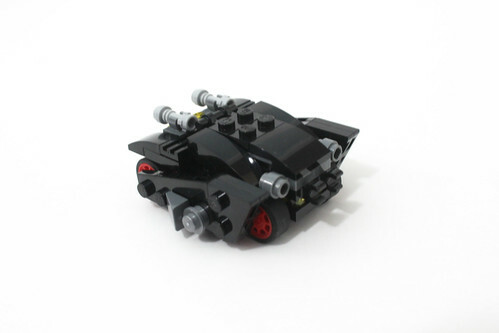 There’s also a couple of 1×2 plates on the back that allows the Bat-Tank to clip on to it. 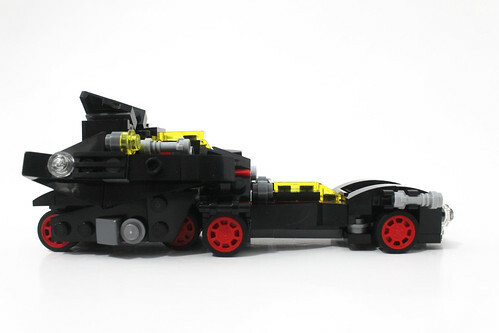 Speaking of the Bat-Tank, it’s pretty bulky and it translates to the larger one quite nicely. 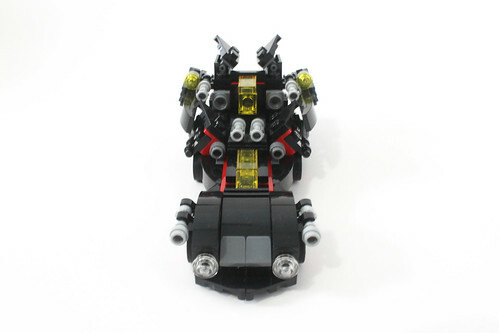 There are some things that have been omitted like the gatling stud shooters but overall, the most distinctive features of the vehicle are present. 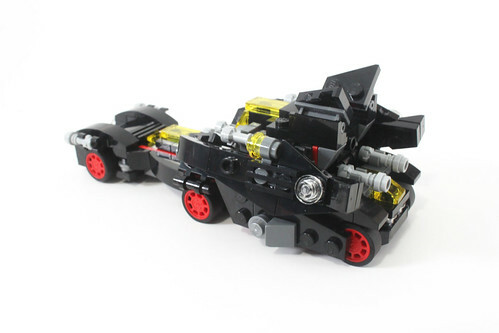 On the back of the Bat-Tank are a couple of clips that go on to the Batmobile. 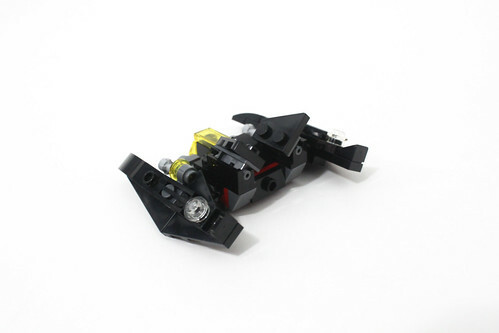 Finally we have the Bat-Wing and it’s actually the one build that I like the least. The general shape is there but when you compare it to the regular one, it’s not as accurate as the others. 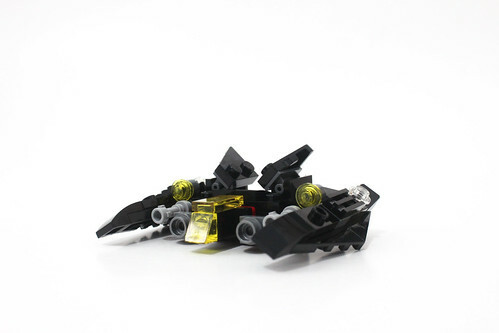 Another thing that I don’t like about it is that it’s fairly fragile especially the back fins because it is only attached on one stud and tend to fall off when you’re angling the fins. 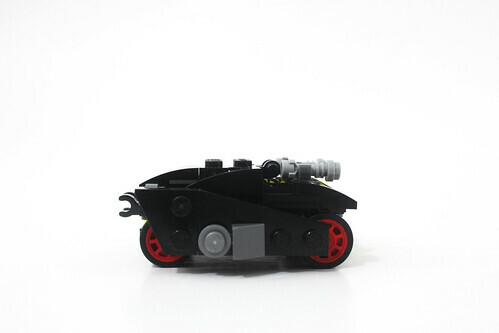 There’s no clips to attach it to the Bat-Tank as it just sits on top of the exposed studs. 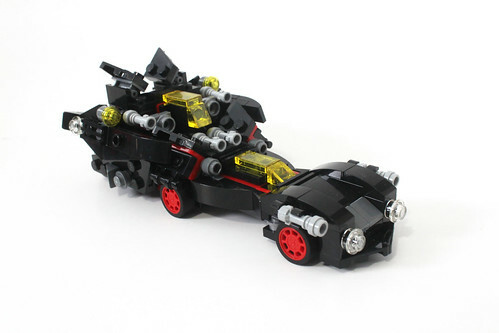 Overall The LEGO Batman Movie The Mini Ultimate Batmobile (30526) looks really good when it is fully combined and looks remarkably similar to the larger 70917 counterpart. Unfortunately, I don’t have the regular one built for a side-to-side comparison. 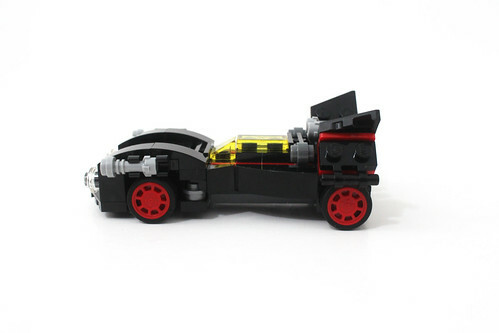 The only downside to it is that you’ll have to acquire three polybags to complete it which, honestly, is sort of a money grab but there is a lot of leftover parts if you do decide to do it. Again, the polybag has started to show up at Toys R Us locations here in the US. 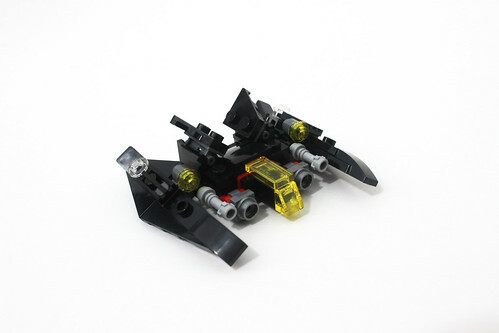 They have also been found at LEGOLAND parks as well as LEGOLAND Discovery Centers. The pricing might be different as TRU has them for $3.99 while I’ve heard LEGOLAND has them for $4.99.